This morning was our final day of Vacation Bible Adventure at Resurrection Lutheran Church. The Bible story was Jesus’ death and resurrection. The children carried the cross through the worship area to our story room so as to remember how Jesus carried the cross out to Golgotha. We heard again how he was nailed to the cross and died for our sins. But God proved his love for us in that while we were yet sinners Christ died for us (Roman 5:8). 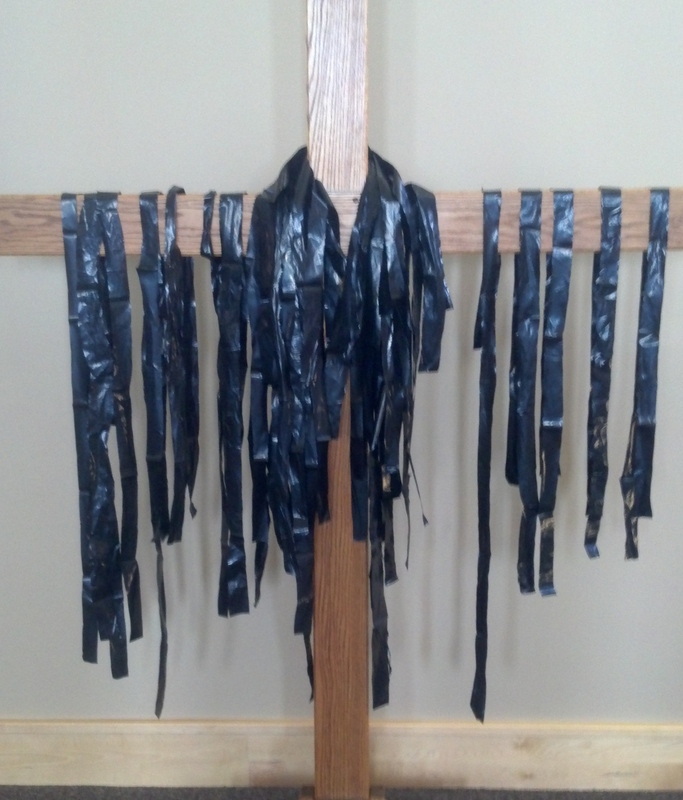 To help dramatize this concept each child placed a black strip of plastic on the cross, a symbol of our sin and brokenness. Then we prayed our confession of sin and heard again the promise of our forgiveness. Jesus’ death cleanses us from sin. We then went outside to celebrate Jesus’ resurrection. We remembered that our church is called Resurrection and every Sunday we celebrate Jesus’ rising from the dead. We are resurrection people and we demonstrate that Jesus’ lives by our lives of love and service. The culmination of our celebration was the launching of model rockets, remembering one of our Biblical promise from the week, “Those who wait on the Lord shall renew their strength, they shall soar with wings like eagles” (Isaiah 40:31). What a joy to share this week with the children, youth and adult volunteers. Lord Jesus, You are the resurrection and the life. Launch me into your resurrected life, that I soar on wings like eagles. 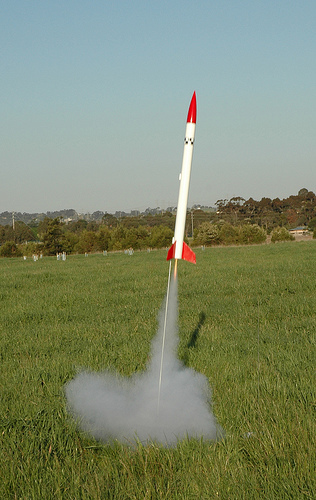 This entry was posted in Bible, crucifixion, Jesus, Resurrection, Resurrection Lutheran Church, Uncategorized and tagged model rocket, Vacation Bible School on June 21, 2012 by Pastor John Keller.